Please note this website is under construction, AA groups exist on many different islands throughout the Bahamas. As we receive information regarding meeting dates/times/and locations from the various islands they will be uploaded. Kirk Group: 6 pm: Meeting location St Andrew’s Presbyterian Church ( Kirk)Shirley St.
Take It Easy Tuesdays! : 6 pm Meeting location Rosetta House, Rosetta St. Big Book study group. Cable Beach Group: 7 pm Meeting location New Providence Community Centre ( NPPC)Blake Rd. Kirk Group: 6 pm . Meeting location St Andrew’s Presbyterian Church( Kirk)Shirley St.
TGIF: Thank God I’m free Fridays: 6 pm: Meeting location Sacred heart Roman Catholic Church, Shirley St.
Saturday: Nassau Group: The Rosetta House 10 am Rosetta St.
Sunday: Cable Beach Group: 7 pm Meeting location New Providence Community Centre ( NPPC) Blake Rd. ​*Note: As of July 2018 the 1 pm M-F meeting at Rosetta House is no longer active. AA Meetings Schedule for Freeport, Grand Bahama Island. Mondays: 7 pm. Meeting location Salvation Army Church on W. Atlantic Dr. in downtown Freeport. Thursdays: 7 pm. Meeting location Salvation Army Church on W. Atlantic Dr. in downtown Freeport. AA Meetings Schedule for Hope Town, Abaco, Bahamas. Mondays: 6 pm to 7 pm. Meeting location Hope Town Library. AA Meetings Schedule for Marsh Harbour, Abaco, Bahamas. Mondays: 6pm. Meeting location is National Marine opposite Standard Hardware. Wednesdays: 6pm. Meeting location is National Marine opposite Standard Hardware. ***Alanon also meets at that same time and location but in a separate room. AA Meetings Schedule for Spanish Wells, Bahamas. Mondays: 7pm to 8pm. 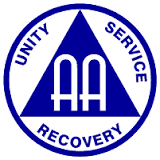 "Recovery Group". In building located at the back of the Methodist Church right of Leo Pinder Street. Wednesdays: 7pm to 8pm. Meeting located on the southside of the island, next to Ronald's Service Centre. Fridays: 7pm to 8pm. Meeting located on the southside of the island, next to Ronald's Service Centre. AA Meetings Schedule for Harbour Island, Eleuthera. Sundays: 6pm. Meeting located at the Methodist Resource Centre, south of the church. Wednesdays: 6pm. Meeting located at the Methodist Resource Centre, south of the church. AA Meetings Schedule for Andros. Saturdays: "Hope Group" 5pm. Open meeting, located at the Father Gabriel Parish Center in Calabash Bay, Andros. Please note there is also AA meetings held at the Atlantic Undersea Test and Evaluation Center (AUTEC) on Mondays, Wednesdays, and Fridays at 7pm but as this is a military base outsiders need to give 72 hours notice for security screening purposes.